How to create a dashboard report for the WebCEO SEO tool? 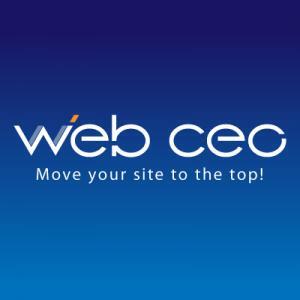 WebCEO is a SEO / Internet marketing tools provider, and yes, we have its native integration in our system. The first step to complete in order to add your data from WebCEO to DashThis is to generate an API Key. To do so, go to the API Access page in your WebCEO account. (My Account > API). 1.2 – Add WebCEO to DashThis. With your API Key in hand, you have everything you need to connect your WebCEO account to DashThis! 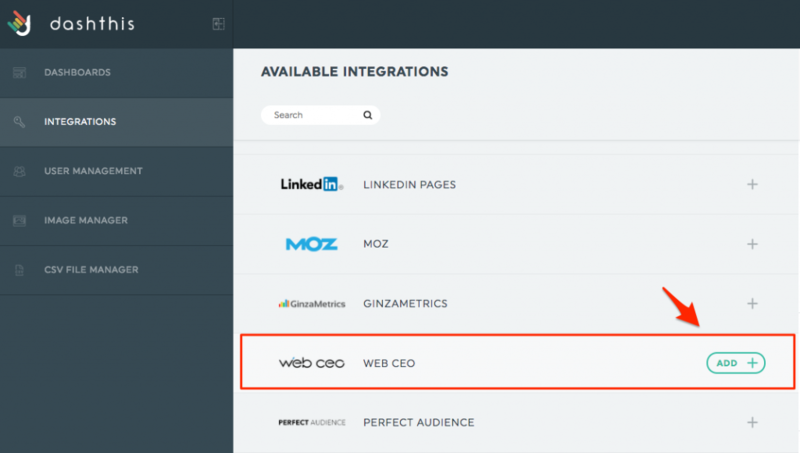 1- In the Integration Manager, choose WebCEO and click on Add. 2- A window appears at the right-hand side of the screen. Give your account the name you want in the first box, and enter your API Key in the second box. Click on Add. This is it! You can now create dashboards with your WebCEO data! By default, our API uses the same data as the one set up in your WebCEO account. You can make changes to the geographic data by going to your WebCEO settings. Select the data you need, and the changes will apply to your dashboards! This entry was posted in Integrations and tagged Managing Integration, Web Ceo. How to use Adwords video campaigns in a dashboard? How to create a dashboard report for Perfect Audience?